Very excited for more of Noah and Echo’s story! We’ve gotten to see a little bit of what happens post-road trip, but it’ll be awesome to see how they got there. I love Pushing the Limits…I mean loved it. 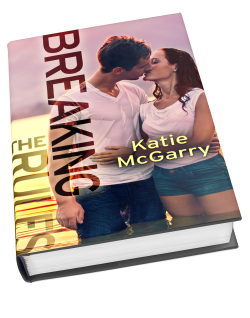 The strength of Katie McGarry’s characters shines through everything she writes, but Pushing the Limits is still my favorite. So, more of Noah and Echo’s story is a definite must. Totally excited for this one! Yes, yes, yes!!! I loved Pushing the Limits and can’t wait to read more about Noah and Echo!